Please Note: We are an authorized dealer of Charles Hubert-Paris. We have the guaranteed lowest prices on Charles Hubert, Paris watches. 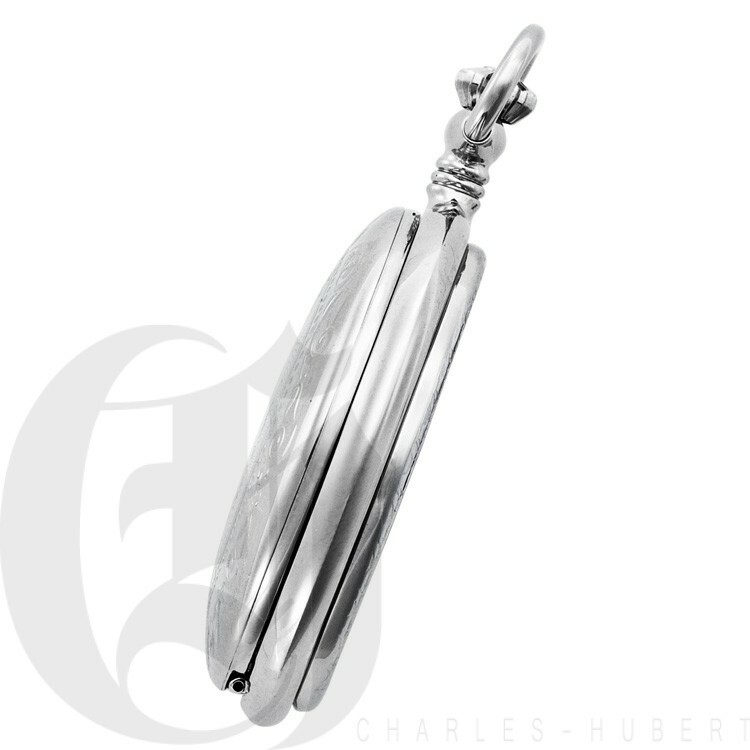 If you find an item cheaper from any authorized dealer, email us a link and we will beat their pricing! 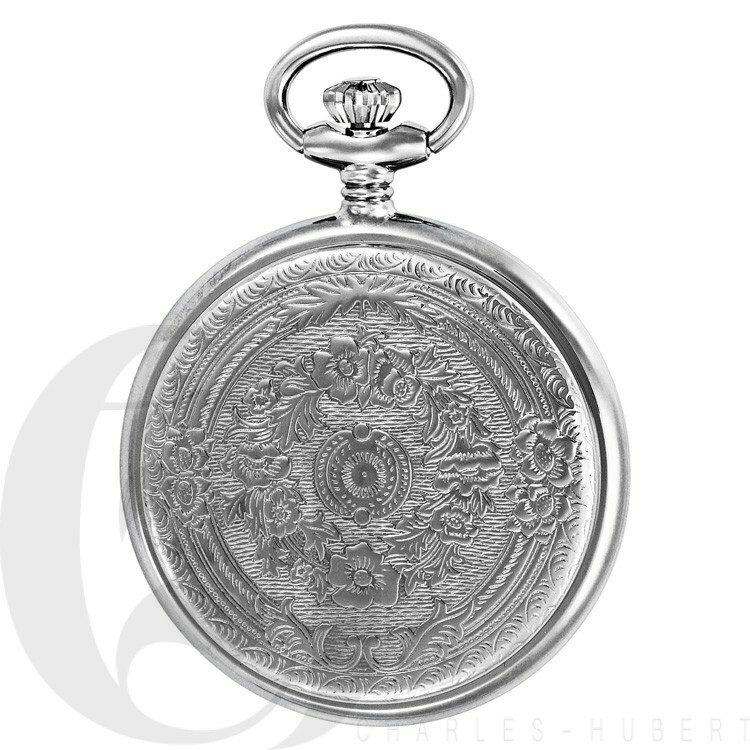 Charles-Hubert, Paris makes superb watches at an affordable price. 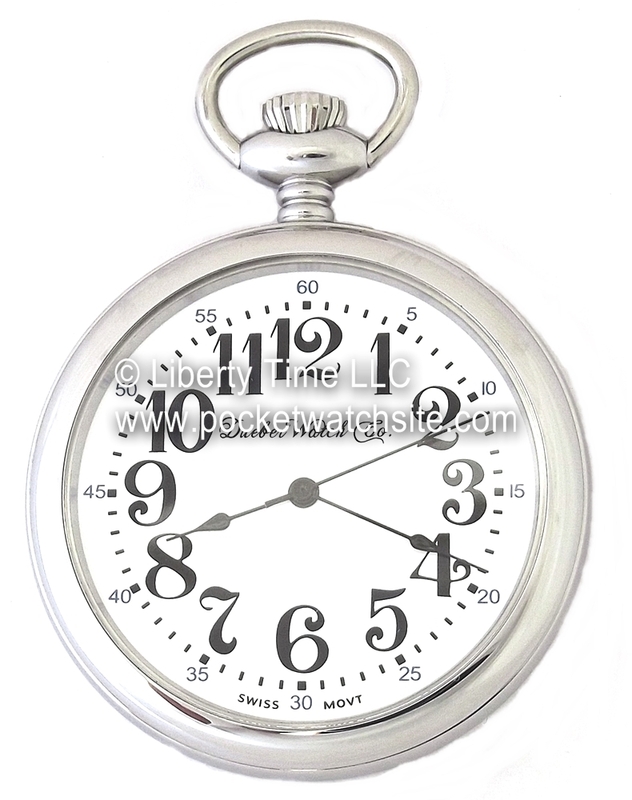 This is a new pocket watch from the Classic Collection. 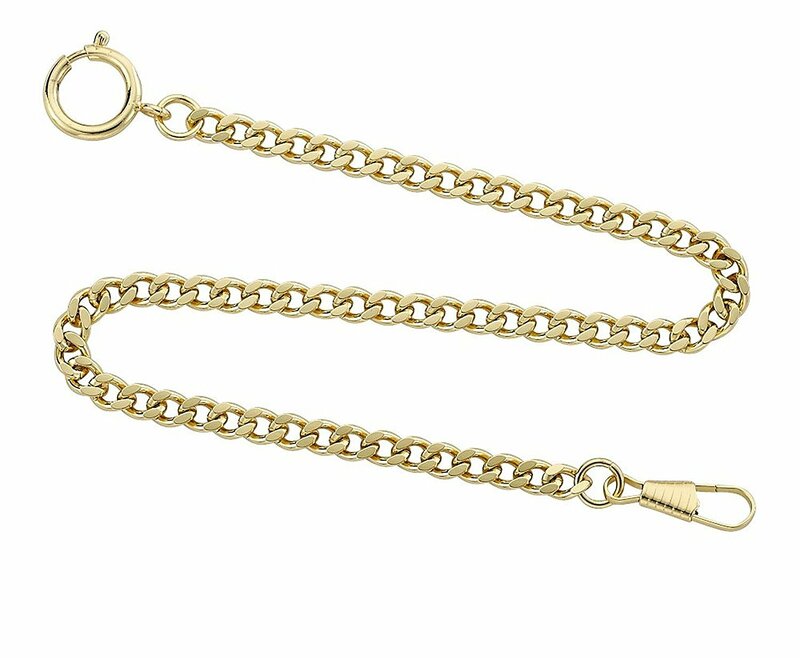 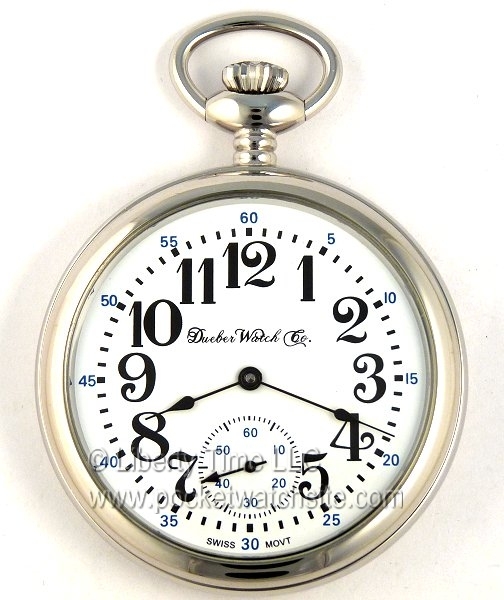 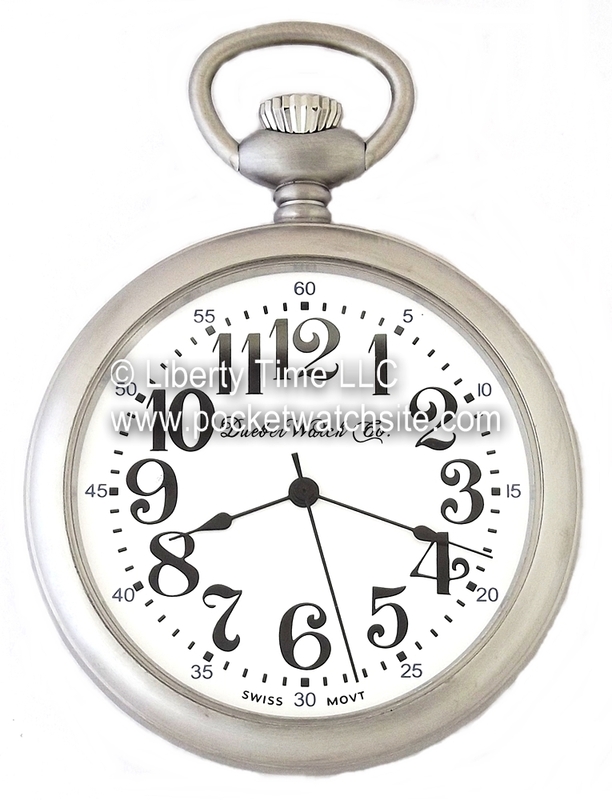 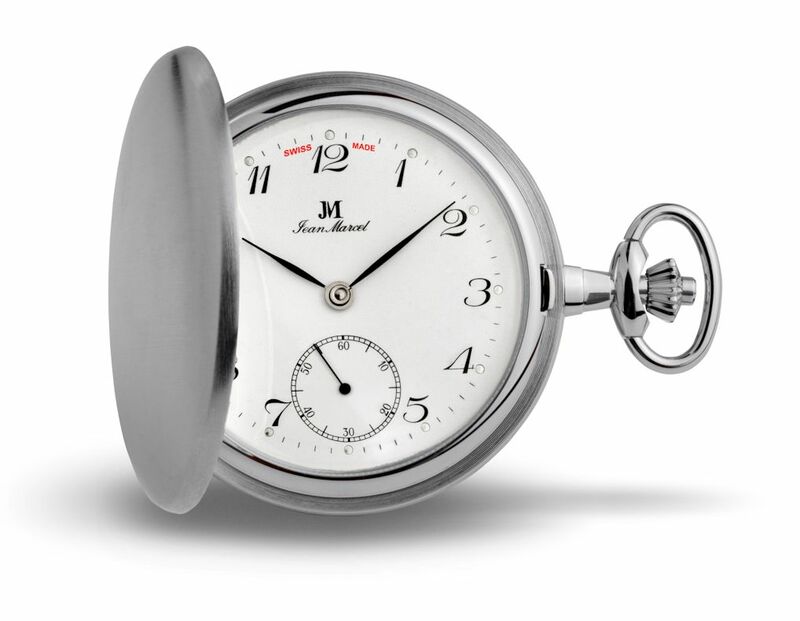 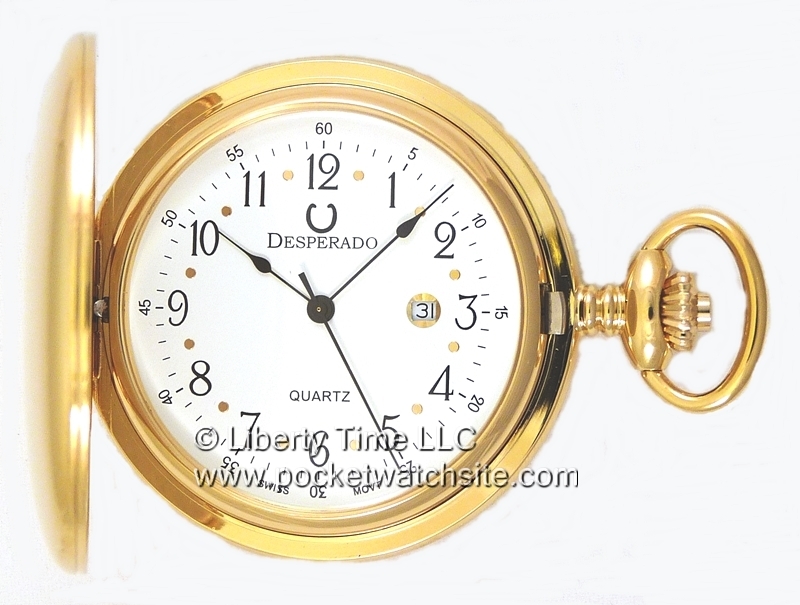 This high quality pocket watch features a shock protected battery powered quartz movement. 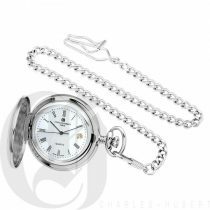 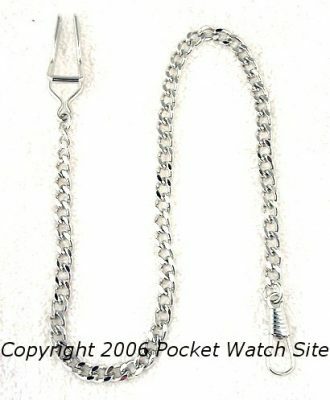 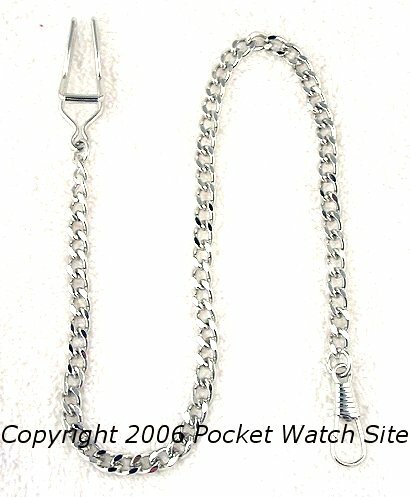 Pocket watches with quartz (battery powered) movements are more durable and much more accurate than their mechanical counterparts. 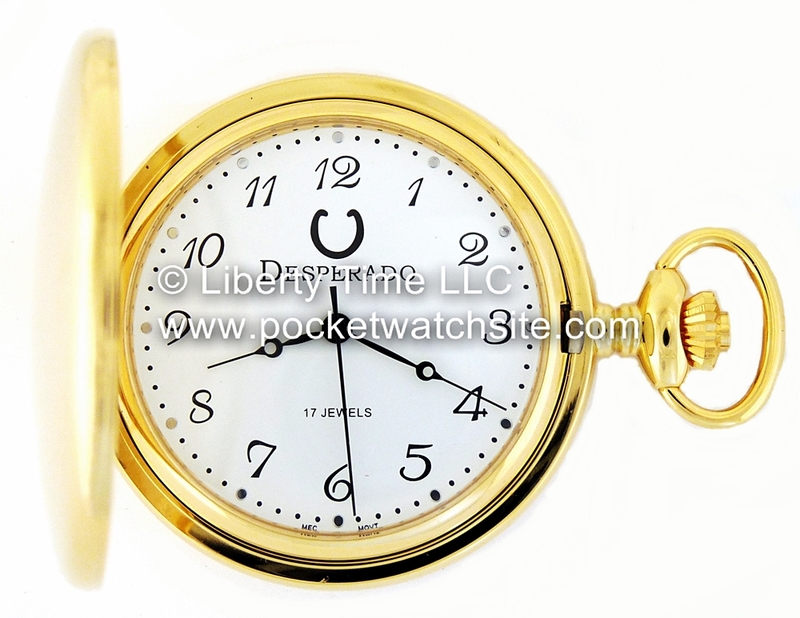 This small sized pocket watch features an accurate quartz movement. 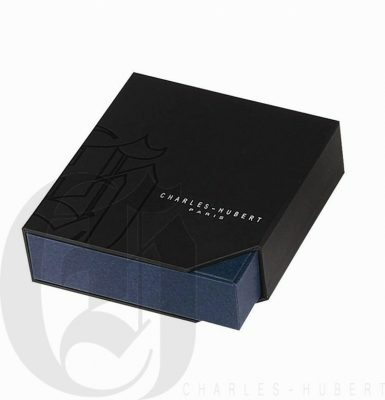 To open the front lid, the button is pressed down. The back cover does not open. 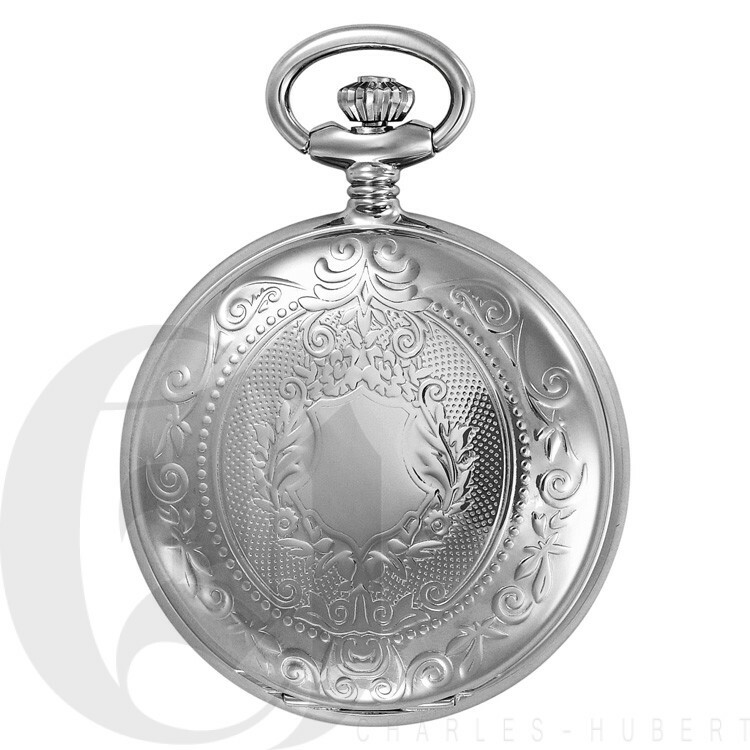 As an authorized Charles-Hubert, Paris internet retailer, all Charles Hubert brand watches we sell carry a lifetime warranty from the factory!